A pair of Art Deco pedestals. 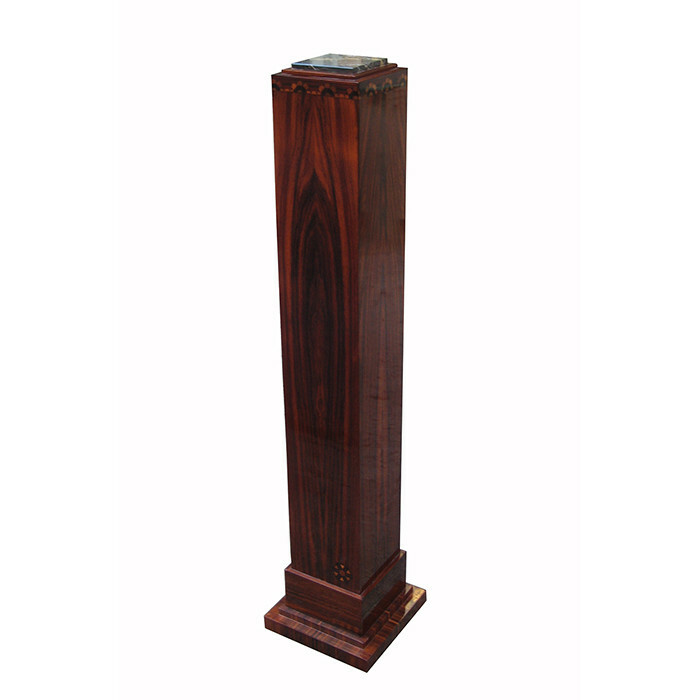 Palisander with fruitwood and ebony inlay details and portoro marble tops. Dimensions: H:54¾ Base W: 12 Top W:8 Inches.